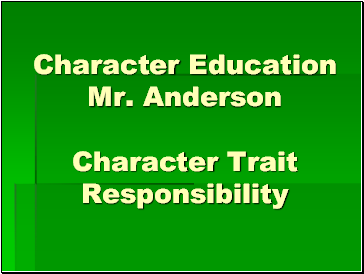 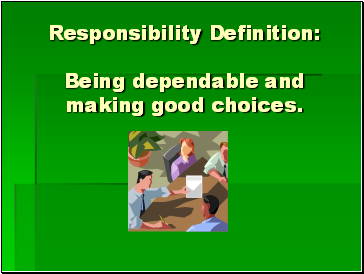 Being dependable and making good choices. 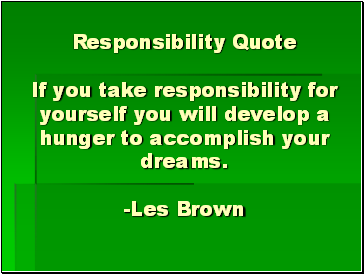 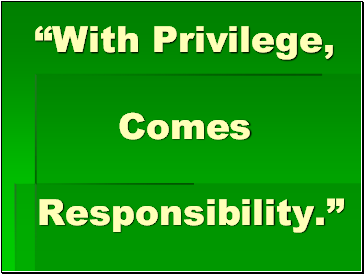 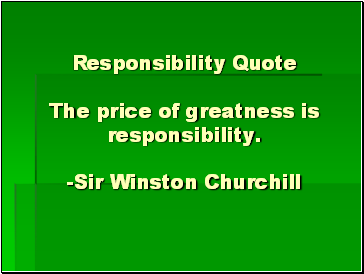 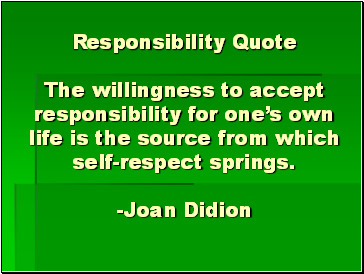 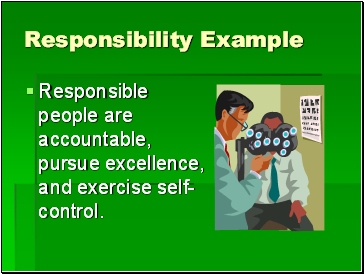 Responsible people are accountable, pursue excellence, and exercise self-control. 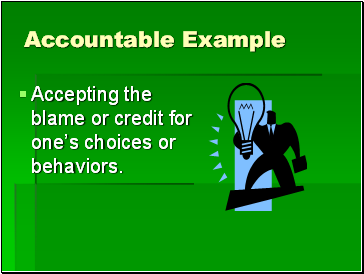 Accepting the blame or credit for one’s choices or behaviors. 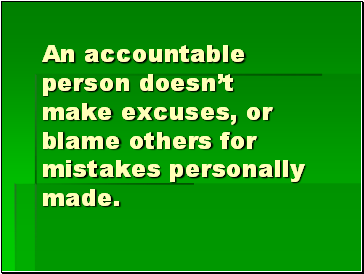 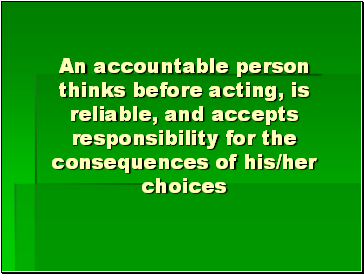 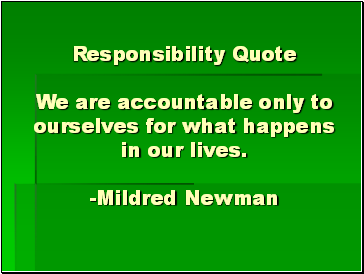 An accountable person doesn’t make excuses, or blame others for mistakes personally made. 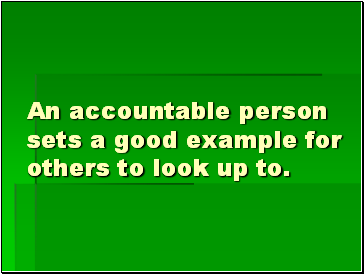 An accountable person sets a good example for others to look up to. 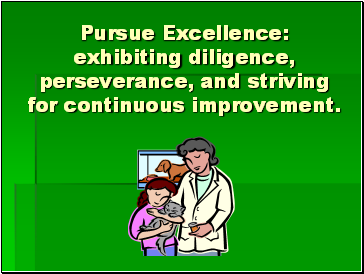 Pursue Excellence: exhibiting diligence, perseverance, and striving for continuous improvement. 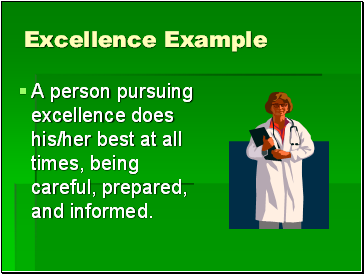 A person pursuing excellence does his/her best at all times, being careful, prepared, and informed. 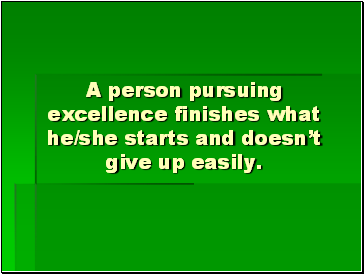 A person pursuing excellence finishes what he/she starts and doesn’t give up easily.